Cookie Law – What Does It Mean For Me? In May last year some new EU rules came into force known as the ‘EU cookie law’. The legislation says websites have to get permission from users before storing pieces of information called cookies on their computers. Although the law came in last year (2011), website owners have until 26th May 2012 to comply, after which they could be fined up to £500,000. Unfortunately they’re not referring to the tasty biscuit that instantly springs to mind. Cookies are small text files which websites place on visitors’ computers. They’re typically used to identify that particular visitor and provide them with a better experience. Cookies are a crucial part of many website functions which we all take for granted. Here’s a humorous video from @silktide to help explain: The stupid EU cookie law in 2½ minutes. There’s still a lot of confusion about how the rules should be interpreted and what websites need to do to comply. As a result, many websites are taking a ‘wait and see’ approach. Even with the May deadline fast approaching, hardly any websites have done anything obvious to comply with the cookie law. Some sites have started displaying pop-ups to get users to opt-in. Remember popups? Yes, everyone hated them so much, nearly ever browser now blocks them by default. Even the governing body responsible for enforcing the rules (the ICO) saw a 90% drop in recorded traffic because visitors simply aren’t opting in. It’s looking very unlikely that many websites will have implemented a cookie opt-in by 26 May. In fact the ICO has suggested that the most important thing is to take steps in the right direction. If you can show you’re moving towards full compliance then you’re unlikely to be targeted. As a bare minimum, it’s important to have an understanding of what cookies your website uses and plan how you might implement an opt-in. The only other option is to stop using cookies altogether, which isn’t really a practical solution. For now, if you need help complying with the law, please get in touch. Follow us on Twitter or Facebook to keep up to date with all the latest information. 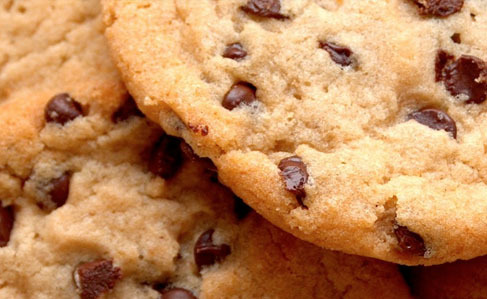 What do you think about the new Cookie Law? Let us know in the comments below.